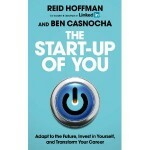 Reid Hoffman’s The Start-up Of You is a book on careers. 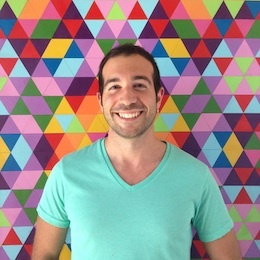 He makes analogies between startup principles and careers, and explains how one can use these principles in their career. In this book, you’ll also find stories and pivot examples from companies such as Netflix, Flickr, Zappos, Square, Starbucks, Pixar and PayPal. If you’re not growing, you’re contracting. If you’re not moving forward, you’re moving backward. If you try to be the best at everything and better than everyone, you’ll be best at nothing and better than no one. Go where there’s fast growth, because fast growth creates all opportunities. Work in a market with natural momentum. Ride the big waves. Think two steps ahead. A goal that can be achieved in a single step is probably not very meaningful or ambitious. A good Plan A is one that offers flexibility to pivot to a range of possible Plan B’s. Relationships matter because the people you spend time with shape who you are and who you become. The fastest way to change yourself is to hang out with people who are already the way you want to be. 70 percent of Americans meet their spouses through someone they know. Humans should be able to maintain relationships with no more than roughly 150 people. I have never funded a company directly from a cold solicitation and my guess is I never will. Great opportunities almost never fit your schedule. Entrepreneurs strategically pursue only those opportunities with enough upside to justify the possible downside. If something worthwhile will be riskier in five years than it is now, be more aggressive about taking it on now. Overall, careers is not the most interesting subject. It was a short and enjoyable read, however, don’t expect to find any secret formulas regarding your career. As a personal note: Lately I’ve been thinking about my career in terms of a product. I didn’t do any market research before going to graduate school, I didn’t know what kind of software engineers companies were looking for. I specialized in Machine Learning because I was interested in this subject and thought this would be my competitive advantage in the market. However, companies looking for software engineers specialized in Machine Learning turned out to be a very niche market, and I didn’t have a product-market fit. These positions were filled with more experienced candidates with PhDs , I didn’t have the necessary connections to find such a niche job. I realized that there was a bigger market for general software engineers, so I had to pivot and start my career in such roles.